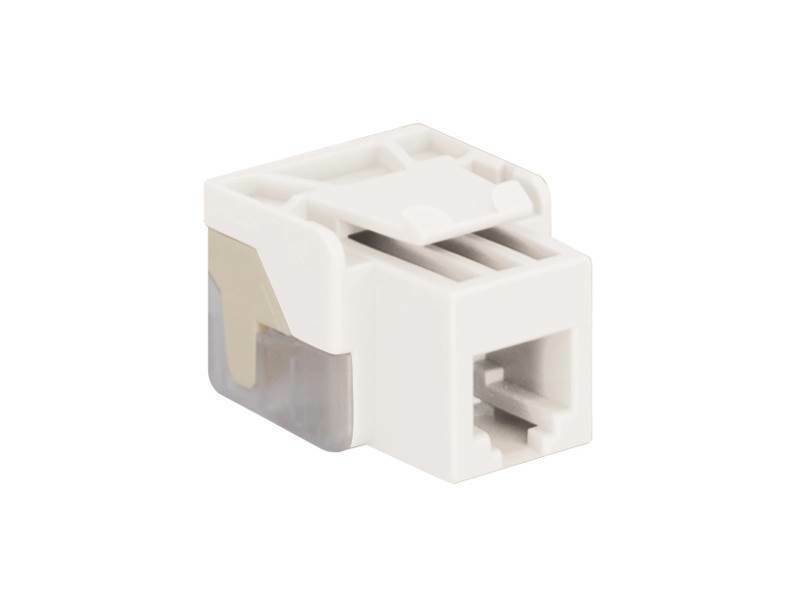 The voice modular connector, RJ-11 keystone jack 6-position 6-conductor (6P6C), is designed for business system applications. The connector utilizes IDC termination, accepts 22-24 AWG solid wire. Termination can be done using 110 punch down tools, or by using the termination cap for fast and easy termination.